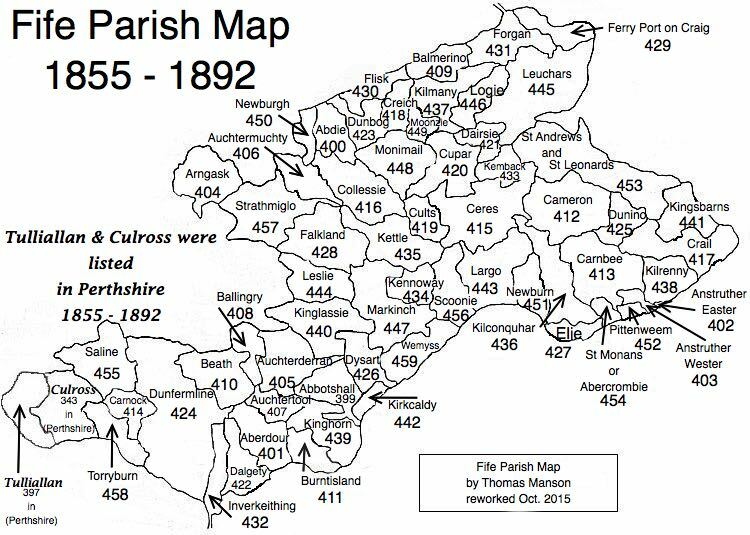 Parish of Kilconquhar – The Fife Post………..for genealogy and historical information. KILCONQUHAR, a parish, in the district of St. Andrew’s, county of Fife; containing the port of Earlsferry, the market-town of Colinsburgh, and the village of Barnyards, 1½ mile (N. by W.) from Elie. The parish derives its name from its situation at the head of a fresh-water lake, of which the Gaelic term is descriptive. The church, erected in 1821, is a handsome edifice in the later English style of architecture, with a lofty tower, and is adapted for a congregation of 1030 persons. There is a chapel of ease at Largoward, built in 1835, for the accommodation of the northern part of the parish. The parish also contains places of worship for members of the Relief, the Associate Synod, Independents, and Baptists.